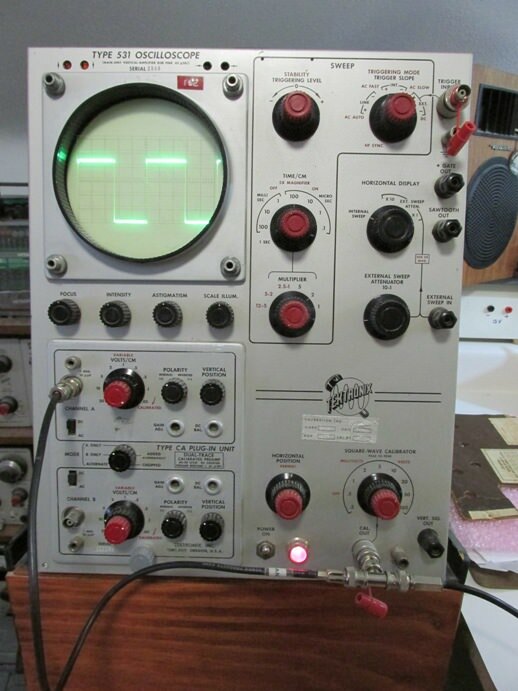 Antique Radio Forums • View topic - Old Tek pulser works! Post subject: Old Tek pulser works! 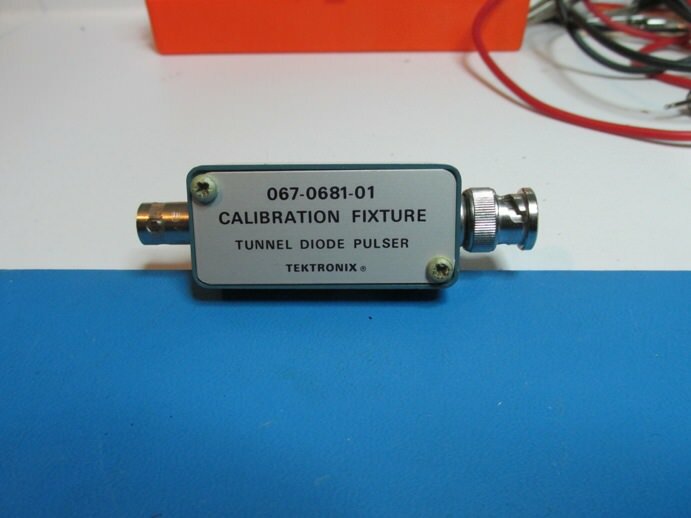 In 1986 I got this Tektronix 067-0681-01 calibration device in a box of stuff from the tech school "clean out storage shed" sale. 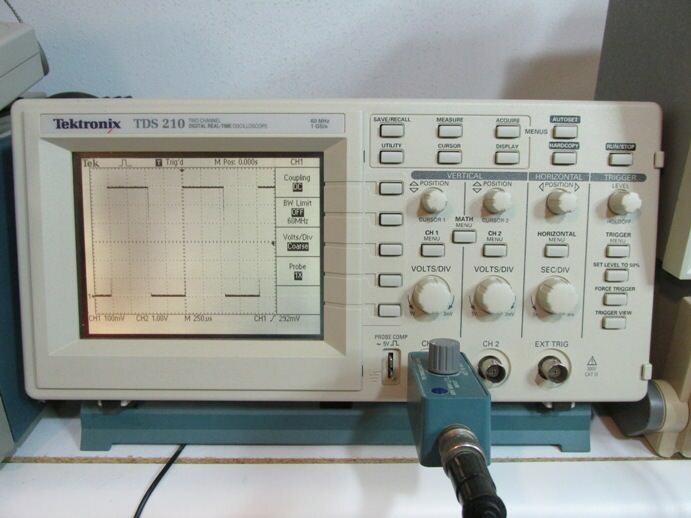 At that same sale, I got a 1956 Tektronix 531 for $5. 2 yrs ago I posted about its 60th BD. I never had any instructions or info on this pulser and tried connecting the input to the 531's calibrator output as apparently indicated on the case in the 2nd picture. Could never see any apparent output and figured it was probably defective, etc. Never did any more with it and haven't messed with it in well over 25yrs. So, I thought I would check it out again. I have 2 90's era digital scopes, neither of which is real fast but I should be enough to see if it actually works. So, I fired up the 531 and T'd the calibrator (set at 100vp-p) to both the A input on the CA plug in and the pulser. 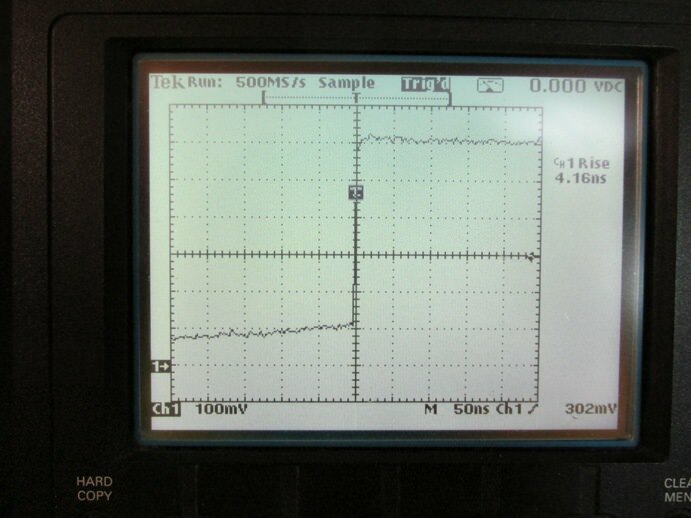 I noted that the pulser loads down the calibrator output a bit. First up is this TDS-210. 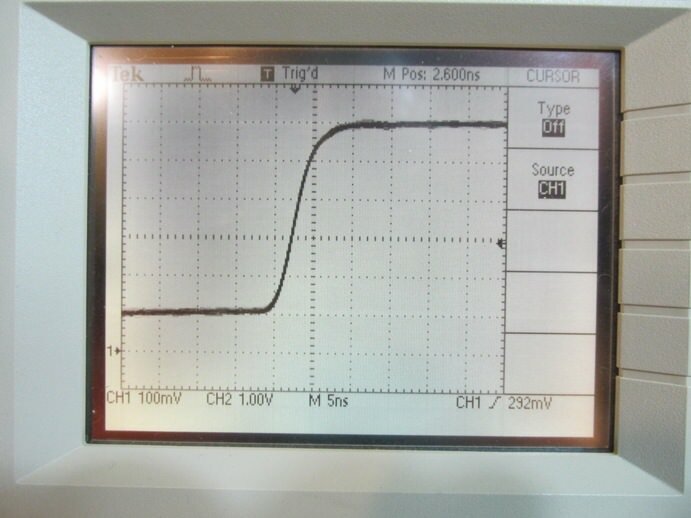 Its only a 60Mhz scope. Apparent rise time about 5ns. This scope does have cursors and will do a few basic measurements but risetime is not one of them. Next is this THS720A. Its a little better at 100Mhz. 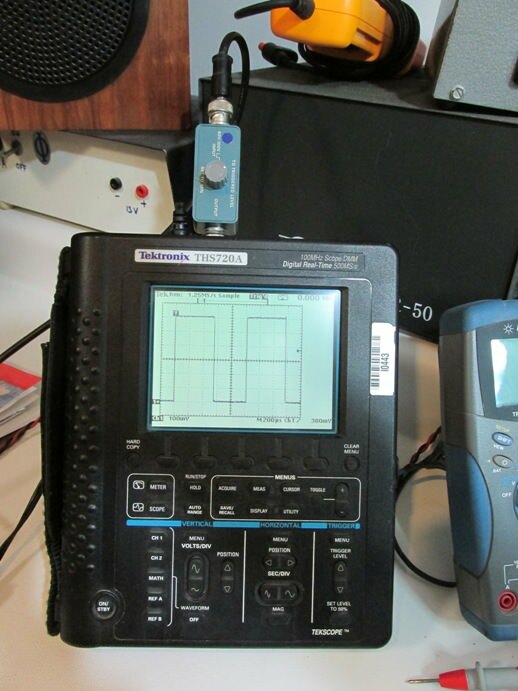 The THS720A does not have as fast a sweep compared to the TDS210 but does have a risetime measurement. I had both scopes in their fastest sweep speed for these pix. Per the information on the pulser, you are supposed to use a 50 ohm terminator between it and the scope if the scope has a 1Meg input (as my scopes do). I don't have a terminator so this test has some issues, however, my scopes are way too low/slow end to really check this thing out for performance. 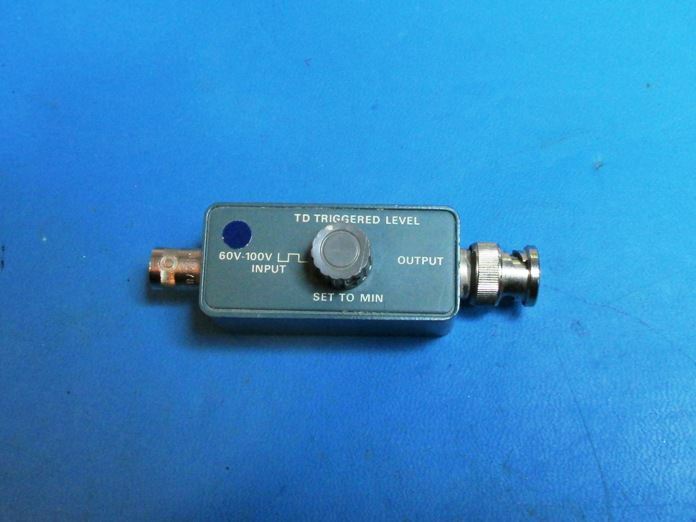 There is a 1Ghz scope in one of the labs at work, but since this thing needs a 50-100Vp-p square wave to power it, there is no way to check it out there unless I build some sort of special signal source for it. But, it sure seems to at least be working. So a 30yr mystery is solved! Last edited by thyratron26 on Feb Sun 04, 2018 1:36 am, edited 2 times in total. Post subject: Re: Old Tek pulser works! I've got one of those stashed away somewhere, but my scopes are also way too slow to characterize it. That's the idea, as it was used to optimize the HF response while calibrating the scopes. You bet those work. They work great! In fact, it is all I have ever used for a fast rise-time pulse. What is the modern way of doing it? What is the modern way of doing it? One simple way to make sub-nanosecond pulses is with an avalanche pulser which depends on the nondestructive breakdown of a semiconductor junction. The venerable Jim Williams described one in one of his application notes and there are variants of his design to be found all over the net. Just google "avalanche pulser" and you'll get a month's reading. They're pretty simple to build, but you need good construction practice to optimize functionality. At that level, everything looks like an inductor. I built one of those, and it works well. I think that is what this Tek pulser is also, which is why it takes such a high amplitude pulse to make it work. I just figured by now there would be some new high-tech digital way to do it. You can use something like an ADCMP580 ultrafast comparator IC to get you around 50ps and I saw a paper on using step recovery diodes for around 5ps pulses, so there are other technologies that have been developed. Still, you're pushing the limit of common technology when in the ps range. Kind of amazing you could generate that kind of pulse with a 5 cent 2n3904 actually. Now if you want to get into the femtosecond range, that's going to hit the pocketbook!